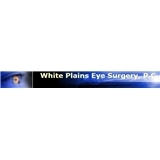 White Plains Eye Surgery (White Plains) - Book Appointment Online! White Plains Eye Surgery offers the latest in medical technology, and a knowledgeable, experienced medical staff comprised of eye surgeons who specialize in General Ophthalmology, Cataract Surgery, Glaucoma, Chronic Dry Eye Syndrome, and Blepharitis. The doctors at White Plains Eye Surgery always care for each patient personally and treat each case individually. To ensure the best practices, we eschew high volume medicine and our doctors are involved with every stage of every procedure. She is extremely thorough and really smart. I felt like an old friend!